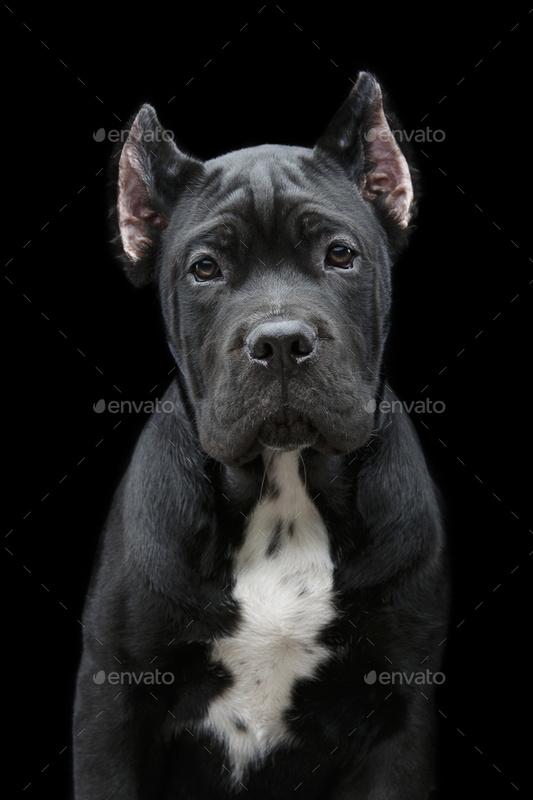 beautiful cane corso puppy isolted on black background. female dog. copy space.